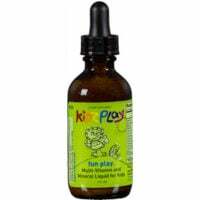 Systemic Formulas Brainy Play for kids contains essential fatty acids (Omega 3, 6 & 9) that promote heart, brain, eye and nervous system development. It contains odorless fish oil plus botanical oils from borage, flax, pomegranate and coconut for a well-balanced product. Keep refrigerated and take with meals. This product does not contain Vitamin D or K2. 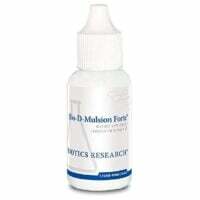 Please add Vitamin D such as this emulsifed D plus this liquid Emu Oil for K2. Or consider Rosita Cod Oil WITH the liquid Emu Oil for K2. Always take K2 with D and children especially require K2 to develop proper jaws and cheekbones wide enough to hold 32 adult teeth. Children ages 2 – 4 can take 1 ml. 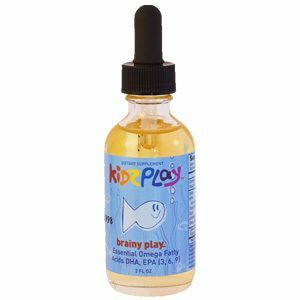 daily of this Omega 3 for kids with a balance of 3, 6 and 9 and a nice flavor. Children 4 years and older take 2 mL once daily with a meal. (30 day supply) Keep refrigerated.